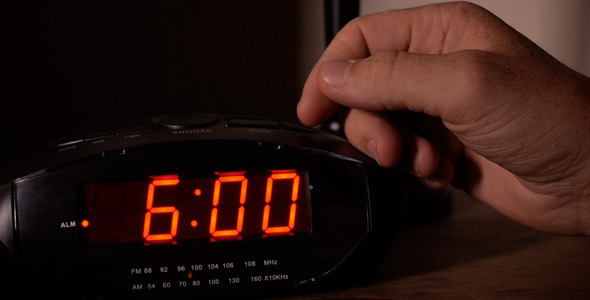 For 30+ years of Mondays, I stared at a 6 a.m. alarm clock and thought it was time to get up and go to work – and go to work I did. I worked tirelessly convinced, as I’d been from the time I was a little boy, that “doing” not only was the way to express love, but the only hope I had to be recognized and loved in return. And so, “do” I did and on those too frequent occasions when I felt I hadn’t done enough or done things well enough, I redoubled my efforts and did more or started over and committed to do better. Often, at the end of a day, though bone weary at the number of tasks I’d assigned myself and completed, I was left feeling frustrated, wishing I could do or had done more. Not surprisingly, when others failed to notice how much “love I was doing” for them, let alone to reciprocate that love through doing of their own, I grew disheartened and, at times, resentful. I didn’t understand that love isn’t shown by, nor is the receipt of it dependent on “doing” and certainly not on doing constantly or perfectly, as my childhood had led me to believe – indeed, seared into my soul. Along the way, my misguided obsession with doing things, rather than being love very nearly caused me to lose the love of my life. Thankfully, I learned (albeit the hard way and much later in life than she (and I) would have preferred) that love has nothing to do with how quickly you get to the office when the morning alarm sounds or how much you accomplish when you get there. No, love is hitting the “snooze” button at least once – not to snooze, but to roll over and draw him or her near, to feel their warmth, to allow your fingers to gently trace the contours of their body and remind yourself of the softness of their skin, to breathe in the sweet scent of their hair, to express and reflect on your gratitude for the fact that they are in the world and part of your world, to tell them that they are valued above all others and cherished beyond measure, to kiss them tenderly, to be fully present just a moment longer, and to let their love in – all the way in. Take it from a guy who chased the electronic rabbit around the track a thousand too many times: There’s no substitute for the Monday moments I’m suggesting, for risking it all, for loving with your whole heart, and it’s never too late to get started. P.S. There’s also no reason not to make and experience those moments on Tuesdays through Sundays as well!